Tudor Auto & Truck Repair in Anchorage, AK, is the top choice in automotive repairs and services in the area. We opened our doors in 2005 and have been dedicated to providing our community with quality and affordable auto services ever since. We are a female-owned business that focuses on customer service. We want to make sure that your experience at our shop is always a pleasant one! Our shop owner has been in the automotive industry for over 60 years and started off as a mechanic. Automotive repair is not just our job - it is our passion! Our experts are ASE Certified and highly experienced with all types of repairs. We also make an effort to have the best and latest equipment in our shop to ensure that your vehicle is taken care of properly. At our female-owned business, we treat all of our customers with respect and are always honest and friendly. Our excellent customer service is unmatched in the area and is what sets us apart from our competitors. Our goal is to become the trusted choice for auto repair in the community and to be an affordable option for all. Give us a call or request an appointment today! Together, Vern & Rolanda have faithfully followed the “Golden Rule” and over the years their reputation for fast, friendly, quality repairs has grown – and so has their team. 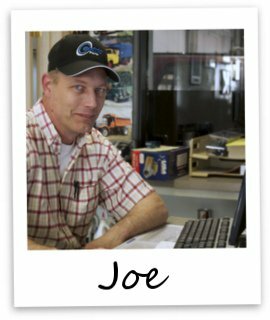 When you come in, you’ll probably see Joe at the computer up front, making sure everything is running smoothly, and helping the other technicians to troubleshoot and go the extra mile. At Tudor Auto, we understand that your time is as valuable as ours. We work hard to ensure all repairs are completed correctly in a timely manner and within budget. Because that is the way it should be.